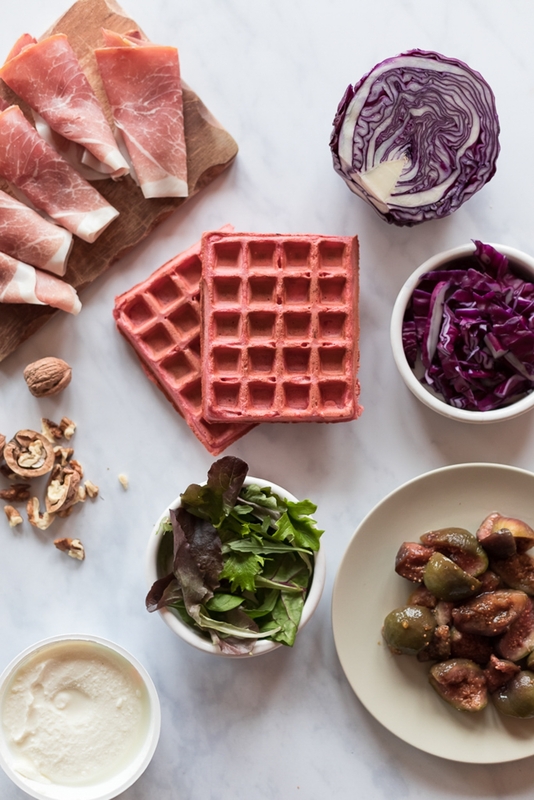 Why use bread for your sandwich when you can use…waffles! And not just any kind of waffles. Pink waffles!! No need for bizarre, chemical colouring, this lovely shade of pink comes from using beetroot. 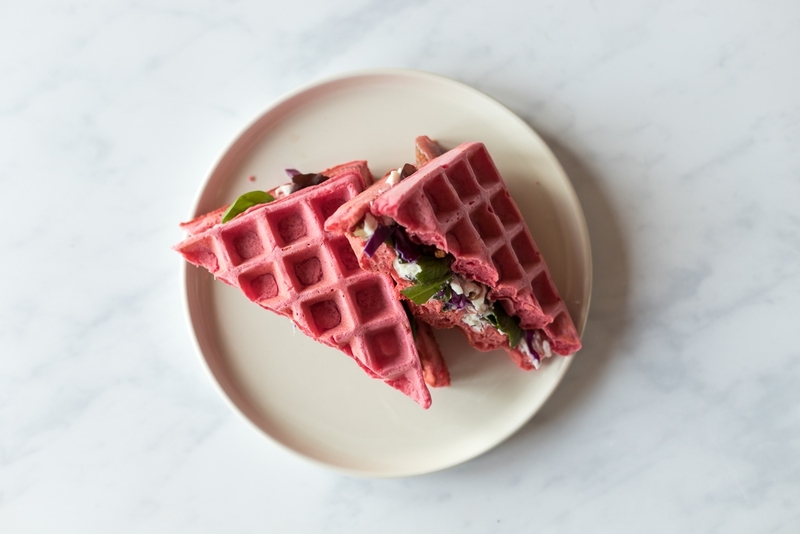 Beetroot also gives the waffle a very subtle flavour. If you’re on a dairy free diet, you can easily replace the milk in the waffles by almond or soya milk. The butter can also be replaced with vegan butter or even olive oil. 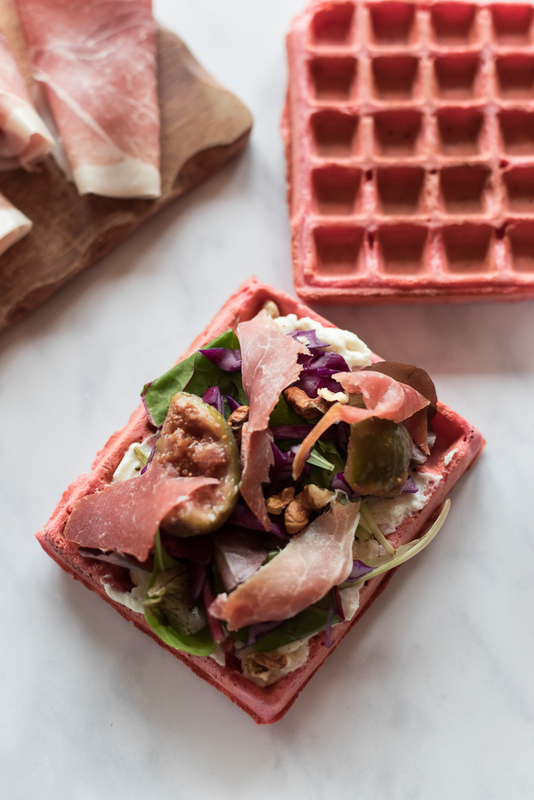 You can also make an open sandwich with just one waffle and garnish! Blend beetroot and beetroot juice until very smooth. In a large bowl, place flour, salt, egg yolks and beetroot purée. Mix until combined. Add the melted butter and mix until very smooth and homogeneous. We recommend using a hand mixer or stand mixer with the whisk attachment. Incorporate the milk. In another bowl, beat the egg whites and incorporate them gently to the batter. It’s okay if the egg whites are not thoroughly incorporated. Butter your waffle iron and prepare the waffles according to your waffle maker iron. 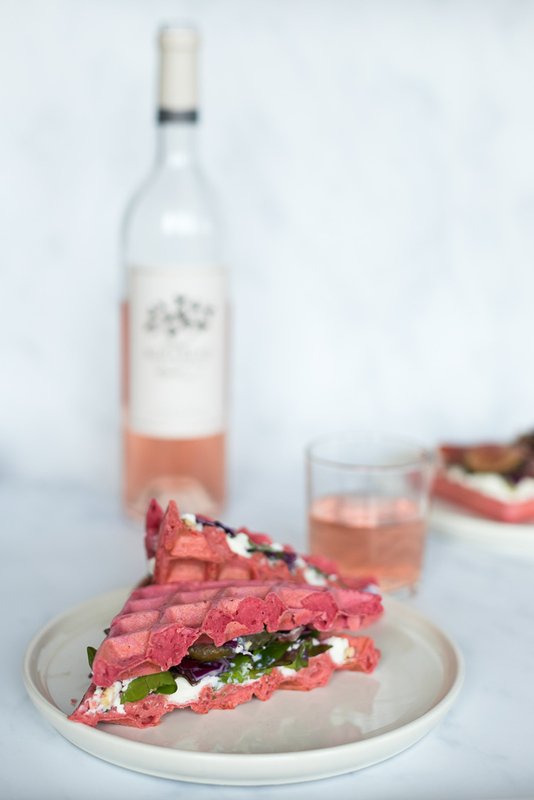 Spread a layer of ricotta cheese on a waffle. Sprinkle on a bit of pepper. Place a few salad leaves, some red cabbage, a slice of ham roughly cut, a sliced fig and some walnuts. Enjoy it either as an open sandwich, or use two waffles to make a regular sandwich.